Below you will find our list of the best restaurants in Copenhagen as determined from reviews by Michelin, The White Guide, Den Danske Spiseguide, Politiken and AOK. The level of quality is so high, there is one 3 Star Michelin, two 2 Star Michelin restaurants in Copenhagen and a further thirteen with 1 Michelin Star. Generally, the locals do not tip as service is included in Copenhagen however if you want to reward good service, then simply round up the bill or 10% is also acceptable. Bocuse d’Or Gold Winning chef Rasmus Koefed and former Noma sous chef Søren Ledet's incredible Nordic terroir restaurant is situated on the spacious 8th floor in Fælledparken in the center of Copenhagen with great views of the park. Huge tables and elegant design are complemented by some of the best food you will ever taste, with dishes that will challenge your senses. Awarded with their first Michelin Star in 2012, they went one better in 2013 and, in 2016, were awarded the coveted third star, making it one of the best restaurants in the world and the highest accredited in Denmark. Open lunch Thursday to Saturday and evenings Wednesday to Saturday. 2 ~ AOC ~ Aarø & Co. The rising star of Denmark's restaurant scene, Søren Selin, is the new man in the kitchen at this amazing restaurant in Copenhagen. His modern cuisine, using fresh Nordic produce sourced from both the earth and sea, won the restaurant its second Michelin Star in 2016 and is completed by the beautiful decor of the restaurant itself, which is located in the vaulted cellar of a historic 17th Century mansion. Open evenings only. Closed Sunday & Monday. Located between Sweden and Poland, four hours away from Denmark in the Baltic Sea, you will find the tiny fishing island of Bornholm, a Danish municipality and popular tourist spot where the 41,000 inhabitants speak a unique dialect that most Danes struggle to understand. Locals Nicolai Nørregaard, Magnus Høeg Kofoed and Rasmus Kofoed (not to be confused with the Geranium chef of the same name) opened a restaurant there in 2007. It was so successful they relocated to a tiny venue in Copenhagen in 2011 (the original in Bornholm still opens for 90 days in summer). 6 months later, after outgrowing their new small space, they needed to relocate to a larger building near Noma in Christianshavn. Despite only being open for 8 months, they were still awarded a Michelin Star in 2013 for their creative Nordic cooking, which brings you the wonderful tastes and smells of their beloved island. A cuisine dominated by the seafood, vegetables, foraged herbs, crockery, artwork and the ambience of their home. You'll need to book ahead as they close in summer when all the staff relocate back to the original restaurant in Bornholm. One restaurant located in two places with one unique personality. Open evenings and also Saturday lunch. Closed Sunday & Monday. For a cheaper version of the menu, see Pony (below). This Michelin Star restaurant is located in the oldest building in Copenhagen, which was probably also the site of the city's first Royal Mint. Gothic arches, constructed more than half a millennium ago, lend the restaurant its medieval atmosphere. 300 years later Hans Christian Andersen lived under the same roof and wrote "Love in Nicolai Tower" here. In 1976 Lene and Sven Grønlykke opened the restaurant to offer Danish luxury without the snobbery and, to this day, it continues to be one of the best restaurants in Copenhagen with Chef Mark Lundgaard being awarded a Michelin Star in 2016 after taking over from Thomas Rode Andersen, one of the most highly regarded chefs in Scandinavia, who introduced Nordic influences to classical French dishes and mentored René Redzepi, who worked here for a long period before opening Noma (above). A La Carte and Tasting Menus are available. Closed Sunday & Monday. If you're looking to escape the city, you should head north for 20km to this Michelin Star restaurant in the picturesque countryside around Holte, just a 30 minute drive from Copenhagen. The small dining area in this characterful 330 year old thatched inn, with its delightful courtyard terrace, offers outstanding gourmet food in an unpretentious setting. With the village pond in front, the wood behind, the castle on the one side, and the church on the other, the surroundings are idyllic. If you don't have a car, take the 22 minute train journey from København H to Holte and walk through the forest for 30 minutes to the restaurant. Or hire a bike and do as the Danes do, it's only an hour's cycle away. Open for lunch and dinner Wednesday - Saturday, as well as Sunday lunch. Noma co-founder Claus Meyer and ex-Noma longtime Creative Chef Torsten Vildgaard’s gourmet restaurant is situated inside The Standard, a 1930's Art Deco former Custom House building and hydrofoil terminal, which is now home to a gorgeous jazz club, and three different bars and restaurants. It resides in a pretty location on Gammelholm, surrounded by the Slotsholm and Holmen canals and Nyhavn. Opened in October 2013 and awarded a Michelin Star just four months later, this is an open kitchen workshop of passion with an inquisitive, curious and playful cuisine, challenging the dogmas in the Nordic kitchen tradition. Closed Sunday and Monday, it's also open for lunch Thursday to Saturday. A typical Danish approach to classic French cooking can be found at this Michelin Star restaurant in Copenhagen, next to the Frederiksberg Palace. Young chefs Rune Amgild Jochumsen and Kristian Arpe-Møller present an unpretentious dining environment free from rules, dogmas and set menus, a dynamic place with a simple, honest kitchen, where the guest has their own choice from 20 seasonal dishes, each made with locally sourced meat, fish and vegetables. Closed Sunday. For a cheaper version of the menu, see uFormel (below). The oldest continuous Michelin Star restaurant in Denmark, having held the accreditation for 20 years in a row, and still the only Italian restaurant in Scandinavia to have a Star. Italian/Brazilian couple Elvio Milleri and Edelvita Santos came to Copenhagen in 1983, and won their first Michelin Star in 1997, continuing to keep it despite the coming and going of kitchen staff during that time. Current chef Nicola Fanetti has immense experience from several Italian Michelin restaurants and continues to push the boundaries with his Northern Italian recipes alongside a wine list which boasts over 90,000 bottles. Open for lunch and dinner every day but Sunday. This Michelin Star restaurant in Copenhagen reflects the culinary love that quite literally has been the heart and soul of the building since 1755, where Jean Marchal and Maria Coppy joined forces romantically and professionally to establish a restaurant, which later grew into the 5 Star Hotel d’Angleterre. The dining experience from Austrian Head Chef Christian Gadient, inspired by the Nordic and French kitchen, appeals to all of the senses, giving a modern touch to the tradition of culinary passion that has defined one of the world’s oldest luxury sites. Open every day for breakfast, lunch and dinner. The only Thai restaurant in the world to be awarded a Michelin Star, this modern Asian restaurant from TV MasterChef judge Henrik Yde-Andersen and Lertchai Treetawatchaiwong. Located in the vibrant multicultural area of Nørrebro in Copenhagen city centre, young Danish Thai Head Chef Dak Laddaporn serves up classic Asian recipes with modern techniques. Closed Sunday. This conceptual gourmet restaurant from popular Danish chefs Jakob Mielcke and Jan Hurtigkarl offers guests a nature-obsessed gastronomic fairytale in one of Copenhagen’s most beautiful royal gardens. Located in a magnificent 18th century pavilion in the stunning Frederiksberg Have, one of the oldest and most beautiful gardens in the world, you will find a stylish mix of gourmet experiments, contemporary art and elaborate design that Michelin seem to overlook. Closed Sunday & Monday. 20 minutes north of Copenhagen, by the ocean in the countryside village of Klampenborg and near to the famous Arne Jacobsen-designed lifeguard towers on Bellevue beach, you will find Anita Klemensen and Lars Thomsen's romantic Michelin Star restaurant in a delightful little red cottage. The cottage sits in the beautiful Dyrehave deer park and offers beautiful traditional dishes served on Royal Danish porcelain, with a menu that changes every month and is made up of herbs and berries foraged from the surrounding forest and fish caught by local fishermen. Just 13km from the city centre, it's only 17 minutes on the train from København H or a pleasant 45 minute cycle. Open every evening (closed Sunday October to May). Noma may have closed, but their first attempt at casual dining picked up a Michelin Star shortly after opening. Located in a former whale meat warehouse, the Danish menu features berries, flowers, mushrooms and nuts picked throughout the year, fermented in the likes of pumpkin seeds and squid guts, with the menu served a la carte. Unlike many restaurants on the list, it is open every day. This molecular gastronomy restaurant from young celebrity chef Rasmus Munk offers its 15 diners an incredible seemingly never-ending 45 course "experience". Opened in August 2015, as the "one to watch" it has won critical acclaim if not the attention of the Michelin inspectors. The entire restaurant is part of the dinner, with lights and sound to match the dishes being served. Open Wednesday to Saturday. Consistently rated among the top restaurants in Denmark, the gourmet offering at the Radisson Blu Royal Hotel is named after Alberto Kappenberger, who managed the hotel for 25 years since its opening in the 1960s. The light, modern menu is based on seasonal Danish produce, sourced from local farms, and is complemented by an impressive Arne Jacobsen designed interior. Closed Sunday. Opened in October 2012 by twin brothers, sommelier Alexander and chef Jonathan K. Berntsen in three small shops merged into a small restaurant, wine shop and South European wine importer. The large windows look directly into the kitchen and the twelve tables, which are laid with their grandparents’ old cutlery. 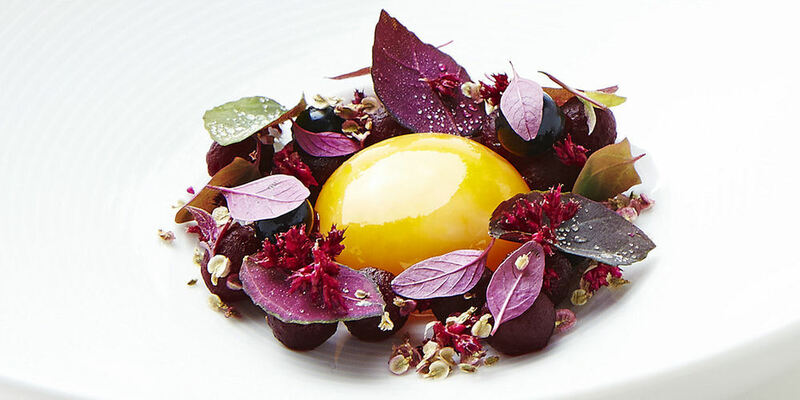 Awarded a Michelin Star in 2014, the a la carte and set menus are classical and stylish. Closed Sunday and Monday. In the historic quarter of Nyboder in Copenhagen city centre, you will find rows of yellow houses, built for the Danish navy 300 years ago. You'll also find this tiny and casual Michelin Star restaurant from Sommelier Sammy Shafi, which offers many contrasts. Head Chef David Johansen's classic Danish dishes are presented in a different way; modern yet old fashioned, innovative yet traditional. There's a wide choice of A La Carte and Tasting Menus, atmospheric music provided by an in-house composer, cooking classes and an interesting After Hours option for those wanting to visit for the Michelin experience without actually dining in the restaurant. Closed Sunday. Translated from Spanish as "workshop", this modern Venezuelan restaurant in Copenhagen offers creative dishes in stylish surroundings with an open kitchen allowing you to see the chefs at work. Open for dinner Wednesday to Saturday and lunch Friday and Saturday. The idea behind former Noma and El Bulli sous chef Christian Puglisi's restaurant is simple. The focus is placed on the gastronomy alone and, despite its Michelin Star, is a welcome alternative to top-end fine dining restaurants. They take the concept that all top restaurants should be the same type of environment and turn it on its head. They question that if the expectations of dining was applied to the arts, you could only experience the creativity of music in the Opera or the Royal Theatre but not in a New Orleans jazz bar. The result is an amazing modern, natural restaurant with an emphasis on vegetables that breaks away from the norm. Open Wednesday to Saturday, including lunch on Friday and Saturday. Translated as 'First floor. To the right', this unique dining experience is located in a 1960's style living room and dining room of a classic Copenhagen apartment with high ceilings. It's basically a private dinner party for guests of chef Mette Martinussen. To receive a written invitation, you must first request which date you prefer to dine and pay in advance for the various innovative Danish dishes which she serves up to you, along with six glasses of wine, coffee and tea. This gourmet restaurant from American celebrity chef Matt Orlando showcases the skills he developed whilst working as Head Chef at Noma and 3 Star Michelin establishments like Thomas Keller’s Per Se, Heston Blumenthal's Fat Duck and Eric Ripert’s Le Bernardin, amongst others. Located in an old shipyard, a large window overlooks the vegetable garden with everything, including the vegetable peelings, used in the amazingly complex dishes. Closed Sunday and Monday. Also opens for lunch Friday and Saturday. Typically Danish, this long standing informal restaurant celebrates its 25th anniversary in 2016 and offers traditional specialities with modern execution from celebrity husband and wife chefs, Bo and Lisbeth Jacobsen. Decorated in timeless Danish design, the restaurant is spacious with tables set with Royal Copenhagen silver cutlery, Holmegaard glasses and Wegners “Y” chairs. Closed Sunday and Monday. 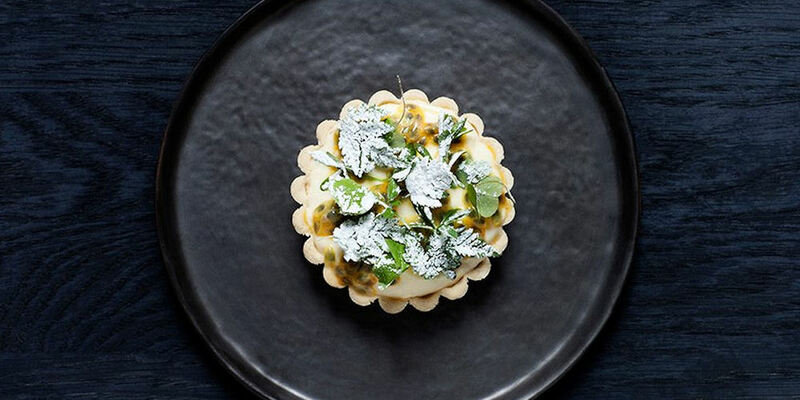 In 2012, the now Michelin starred restaurant, Kadeau, moved to bigger premises, making way for this value-for-money sister restaurant, which offers a simple approach to fine dining whilst still impressing. Like its elder sibling the food is influenced from the tiny fishing island of Bornholm and the cooking style is the same, if slightly less elaborate. Closed Monday. Another younger sister informal Copenhagen restaurant, this time the sibling of Michelin Starred Formel B. They share the concept of a pick and choose menu and the same Søren Vester design, with dark colours, brass and gold. The music gets louder at weekends and the cocktail bar more lively, however the food is equally a typical Danish approach to classic French cooking. Open every evening. After 14 years of being arguably the most famous restaurant in the world, Noma closed its doors at Strandgade 93 on the 24th February 2017 with plans to re-open in an urban farm somewhere in Copenhagen (to be announced). Having previously worked at restaurants such as elBulli, The French Laundry and Copenhagen's Kong Hans Kælder, it should come as no surprise that chef René Redzepi’s iconic 2 Michelin Star restaurant, was crowned The Best Restaurant in the World in 2010, 2011, 2012 and 2014 (no.3 in 2015 and finally at no.5 in 2016 behind Osteria Francescana in Modena). It has spawned pop-ups in London, Tokyo, Sydney and Mexico. The cuisine was terroir-led Scandinavian with the ingredients strictly locally sourced and foraged with 75 members of staff providing an unforgettable experience. The dishes in a 20 course lunch or dinner often included the shock factor that left diners talking about the experience for the rest of their life. It's not unknown for people to visit Copenhagen from all over the world just to visit this waterfront restaurant.